Anything new takes some getting used to, but Robert MacIntyre has taken to life as a professional golfer like a duck to water. The Scottish left-hander from Oban will make just his second pro start on the European Challenge Tour this week, at the Turkish Airlines Challenge at Gloria Golf Club after a strong amateur career. He first appeared on Europe’s top developmental tour as an amateur in 2016, competing in the SSE Scottish Hydro Challenge hosted by Macdonald Hotels and Resorts and the Irish Challenge. Further starts at the Andalucía Costa del Sol Match Play 9, Le Vaudreuil Golf Challenge and the Vierumäki Finnish Challenge, which included an excellent five under par second round of 67, followed in 2017, a year in which he also represented Great Britain and Ireland in the Walker Cup. 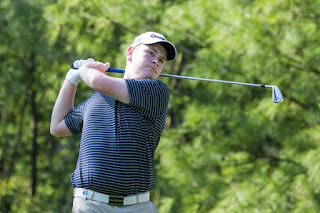 MacIntyre competed twice on the MENA Golf Tour in 2017, based in the Middle East, and finished tied third in Jordan’s AYLA Golf Championship before recording his first professional victory at the Sahara Kuwait Golf Championship, winning by two shots thanks to rounds of 65-66-65 in the three-day event. The left-hander ended 2017 with a tie for 42nd place on his European Tour debut at the Joburg Open and made his first Challenge Tour appearance of the year at the Belt and Road Colourful Yunnan Open earlier this month, finishing tied seventh. MacIntyre believes his performance in China was the best he’s played for two years and can see his hard work in the off season coming to fruition. “It was my second time in China,” he said. “I played in the Youth Olympics a few years before and I knew the troubles I was going to have when I got out there, but it was the same for everyone. “The golf was probably the best I’ve played in two years and it’s going in the right direction. This week’s Turkish Airlines Challenge will provide the 21 year old with his first taste of action in the country but he feels comfortable in Antalya, partly thanks to his fellow players. “I just take golf as it comes,” MacIntyre said. “You don’t know what’s around the corner but I just prepare as well as I can and hopefully the week works out. “I’m comfortable where I am and I travelled with a good group of guys, so everything’s in the right place for me. “It’s been pretty good on Tour so far. I’ve not had to do simple things like find a place to do my washing. It’s been a week on and a week off so it’s not been too bad yet in that respect. So far, so good! The Glencruitten-born player has highlighted good putting as one of the keys to success at Gloria Golf Club and has a clear plan in his mind as to what he wants to achieve. “I think your short game has got to be especially good to contend out here,” he said. “The top guys are going to be holing a lot of putts – the greens are really good so I think putting will be important this week.